It started with the plan to ride to Gokarna through Shivamogga. After our ride to Kanyakumari almost an year back we wanted to go for a long ride desperately. Heavy rains in Western Ghats of Karnataka forced us to change the destination. 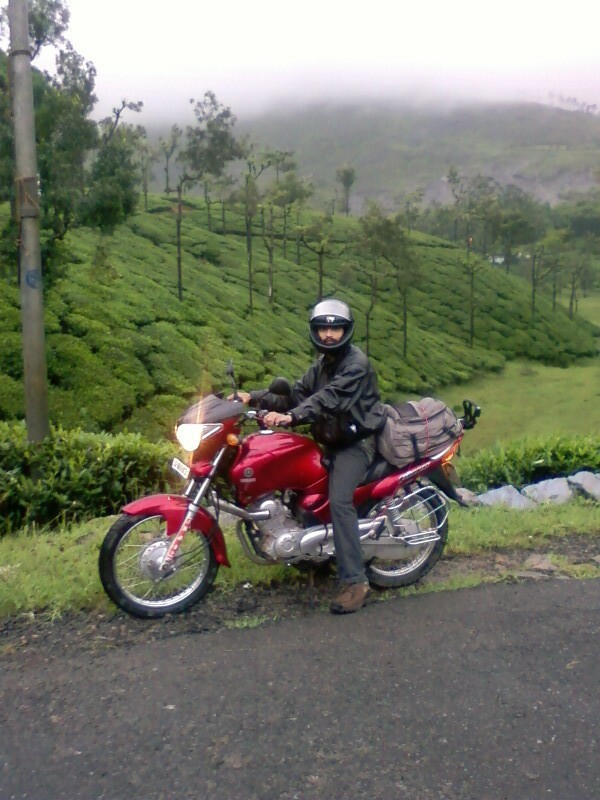 Anand suggested that we will ride to Valparai and it would be good. We agreed as soon as we knew it had 40 hair pin curves. This time we didn’t have time to do any planning. On the day I got up quite early (3am. It doesn’t happen very often) and we left Bangalore by five. We started the ride after the group prayer. It was Anand (Eliminator) in the leading position, following him were Vinay (ZMA), Guru (Pulsar), Manju (Bajaj), Sandeep MK and GL (Unicorn) and me performing the role of sweep rider on my Yamaha. For breakfast we halted at Dhrmapuri which is our regular breakfast point. We reached Valparai by evening after few photo sessions near Mettur. 40 hair pin bends were fun to ride. That smile on my face that tells it all. Ride of two hours was the most beautiful ride that I have done until now. I could not capture it on camera. But Manju clicked few using his mobile. The view from the top is just awesome. I was missing my camera. It was raining heavily on the second day. We couldn’t do much other than riding to a near by dam through tea estates. Return was nothing major ( except for those two incidents and the fact that both included me). We left around 7 as the visibility was very low. We reached home by 7pm. We covered around 940kms in total. The route which we took – Bangalore-Krishnagiri-Dharmapuri-Erode-Coimbatore-Pollachi-Valparai. 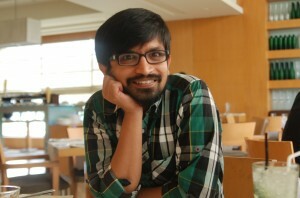 But aa male nalli nendhu nedhu…sakappa saaku ansbidthu…. 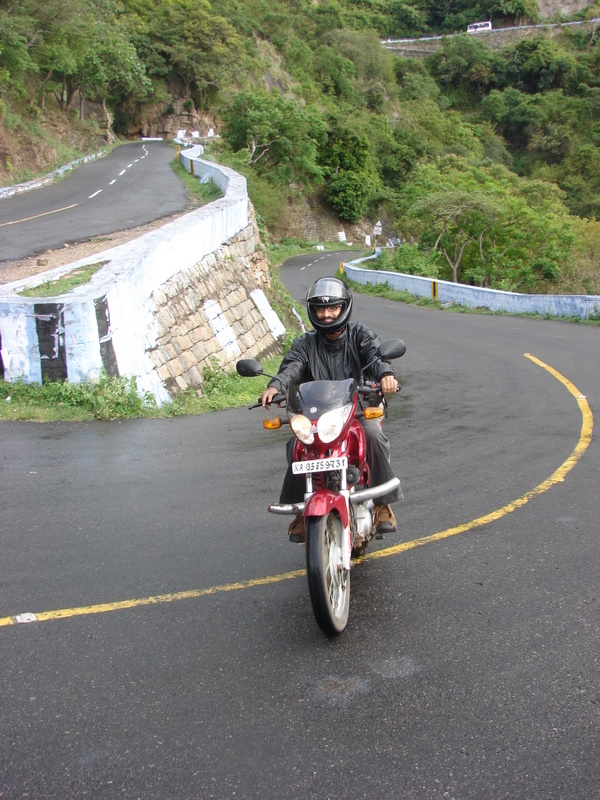 I tried to fill the chill hilly curve at Calicut – Bangalore road rout. All the way of Adiwaram till Mahanandwadi is the pleasure filled journdy.